Imagine a world where billions of IP-connected objects are sensing, communicating and sharing information. Imagine these objects regularly collecting data, analyzing it and initiating action – unleashing a new wealth of intelligence for planning, management and decision making. If you can envision this place, you’ve understood the concept called Internet of Things (IoT). With more physical objects and smart devices connected in the IoT landscape, the impact and value of IoT on our daily lives is quickly becoming immeasurable. 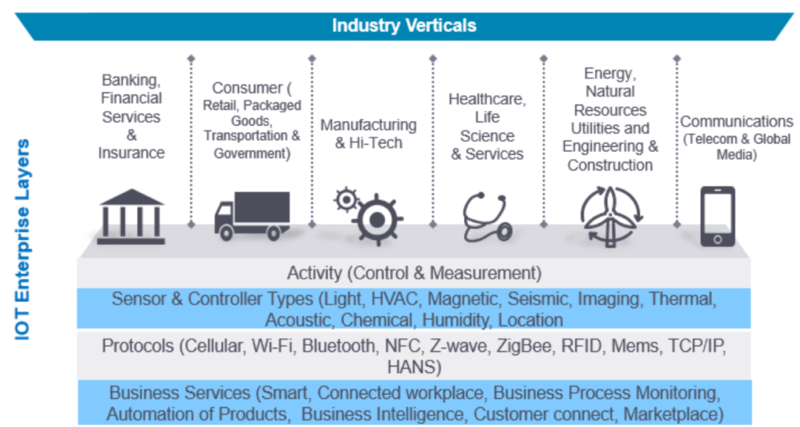 Across industry verticals, IoT presents an abundance of opportunities for innovation. With real-time data and potentially cross-domain data sharing, new business models can be created. And IoT can address both industrial and consumer needs. Gartner forecasts that the number of connected “things” will reach 20.8 billion by 2020. That number is massive, but the potential impacts on the ways we live and do business are even more mind-boggling. IoT will change every aspect of our world. This entry was posted in BisDev, IoT. Bookmark the permalink. Are you a digital migrant? How They Came Up With Their Business Name?